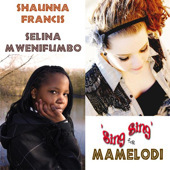 Selina Mwenifumbo and Shaunna Francis, two pupils at Nottingham University Samworth Academy, have written, recorded and released this song to raise money for the Mamelodi Trust in South Africa. It’s available for download on iTunes for 79p and every penny will go to the Mamelodi Trust, which raises money for schools in the squatter camps in Mamelodi, near Pretoria. All money raised by the end of July will be match-funded by the University Development Office. The NUSA pupils were commissioned to produce the single by The University of Nottingham’s Academy Project Unit which co-ordinates a range of academic and social links between the school and University departments. The University has long-established links with South Africa through its School of Education, which fundraises for Mamelodi and operates a graduate teacher placement scheme in the township. Mamelodi is a former black township with a population of about one million people on the north eastern outskirts of Pretoria. Many people in this area live in small brick-built homes, but there are also huge makeshift settlements where people, many of whom are refugees from neighbouring Zimbabwe, have built their own shacks from corrugated iron and plastic sheets. Apartheid was responsible for starving the townships of decent quality education, allowing extreme poverty, high unemployment and a whole range of socio-economic problems which will take many years to eradicate. Further details here and preview of Sing Sing and download available here. It is well worth buying.